Chani’s cherished children become like her own at a very young age. Mommy & Me Classes for toddlers under age 3 are an excellent way to introduce them to a specialized Jewish learning environment. Despite its somber overtones, Yom Kippur is at its core about enabling oneself to be a force for good in the world, Long Beach area Jews say. The holiest observance in the Jewish calendar began at sundown Friday, ushering in 25 hours of fasting, prayer and introspection. SLC is often referred to as a school within a school. The primary purpose of its program is to create more specialized learning environments focused on students’ aptitudes and interests, so as to establish an even more rich and engaging learning experience. It employed Common Core standards decades before the phrase became part of our educational system lexicon. Students at Hebrew Academy get a thrill when LAPD helicopter lands on playground and out pops Shmuel Newman dressed as Judah Maccabee. Hebrew Academy Wins $500,000 in Kohl’s Competition! Read what the local paper, THE SUN, writes about our preschoolers! Sun Newspaper (Dec. 17 issue), pre-schoolers from the Hebrew Academy are featured on page 2. HEBREW ACADEMY TEACHER WINS AVI CHAI EDUCATIONAL TECHNOLOGY GRANT! July 2007 A - New and Exciting Additions to Camp Silver Gan Izzy: Rock Climbing, Science Fun and More Kids than Ever!! July 2007 -3 Hebrew AcademyGraduate Rebecca Freed Soars to New Heights! Children at the Hebrew Academy in the science lab. S oaking up the brilliant California sunshine, 189 new solar panels atop the roofs of Chabad's Hebrew Academy in Huntington Beach are teaching students a living lesson in going green and cutting the school’s energy bills. “It’s a move to show student the importance of conserving energy, respect for the environment,” said Rabbi Yitzchok Newman, dean of the school which educates 350 students from preschool through twelfth grade. It’s a mitzvah to conserve resources, he said, and it helps illustrate the power of the sun’s rays, a common metaphor found throughout Chasidic philosophy. Eight thousand square feet of solar panels came with a price tag over $200,000. Solar panel manufacturer Sharp USA and integrator HelioPower, the firmthat installed the panels, both supported the school's green initiative. A portion of the cost was covered with a federal rebate program. The Karp Federation Challenge grant and another donor funded the rest. Hebrew Academy expects to save $1000 each month off its electric bill, dimming its annual $70,000 bill by nearly15%. One of the first Jewish day schools in the area to be making such a significant commitment to solar energy, Hebrew Academy, founded in 1967, is known for other firsts. One of the first Jewish day schools in the area to be making such a significant commitment to solar energy, Hebrew Academy, founded in 1967, is known for other firsts. It twice received U.S. Department of Education’s Blue Ribbon Excellence Award, and is one of the few schools in Chabad-Lubavitch’s network with a junior Olympic sized swimming pool. However, the solar panels are not the school’s first foray into environmental action. Dozens of blue boxes placed in strategic spots throughout the school’s 11-acre campus are filling up with recyclables. Director of Admissions Alex Greenberg was motivated to start the recycling program because of her sons, Zachary, a fifth grader, and Noah, a kindergartner at the school. “I am really worried about our next generation. We are already feeling the ramifications of pollution, smog and lack of fuel. We have to start somewhere,” she said. Bringing paper to the recycler has more than moral rewards. It nets the school $18 per ton. Noah’s teacher, Robin Leclercq, also the school’s assistant preschool director, has used the solar panels as a starting point for green talk with her young students. “We have given them some of the basics such as, the sun can provide energy to help run our school so we don't have to rely on energy created by man,” she told Lubavitch.com. Science department chair Amanda Smith feels the solar panels fit well into the earth science curriculum and bring to life the students’ studies of renewable and nonrenewable resources. Going green is a process, school officials said, and there’s much more to do until sneakers are the sole source of the school’s environmental footprint. With panels and a recycling program, Hebrew Academy is getting greener by the day. Melanie Alkov, an administrative assistant in the school 23 years, thinks it’s a step it the right direction. “We are always taught to repair the world, to do tikkun olam. What better way is there to do it than in school,” where tomorrow blooms. Phillip Swagel, Assistant Secretary of the Treasury for Economic Policy, an alumnus of a Chabad day school. Several weeks ago The New York Times featured Shimon Waronker, principal of a South Bronx High School, on its front page. Waronker, a Chabad-Lubavitcher, was profiled for his success in rehabilitating a notoriously dangerous, failing school. Waronker credited the Lubavitcher Rebbe's inspiration in his educational values. In the following article, Lubavitch.com asked our reporter to seek out notable alumni of Chabad-Lubavitch day schools, and consider how their schooling, and particularly their teachers, have influenced their life choices. Dr. Joel Wein is looking for the Lubavitch teacher who changed his life. As a youngster eager to earn a Cub Scout religion badge, he asked his Hebrew School teacher, a young Chabad-Lubavitch woman in her early twenties, for a synagogue where he could attend services. She walked him to the only Orthodox synagogue in the neighborhood. He stayed to pray, and he returned the next week, and the next. If Jewish education forges strong links to Jewish continuity, educators are the blacksmiths. Famously unsung, extraordinarily underpaid, Jewish teachers take the goal of a strong Jewish future and make it happen day after day. “Devotion to fulfilling the Lubavitcher Rebbe’s vision that every Jewish child deserves a quality Jewish education is the secret of the success of Lubavitch teachers,” said Rabbi Nochem Kaplan, director of the Chabad’s education office. In Chabad-Lubavitch’s network of 140 elementary and high schools (outside of Israel where the numbers climb still higher), it’s the teachers who nurture, answer questions and provide living examples of what it means to live with Jewish teachings as a guide. To that list, Phillip Swagel, assistant secretary of the Treasury for economic policy, would add love and warmth. As a youngster he attended Chabad’s Hebrew Academy, then in Long Beach, now in Huntington Beach, CA. When he tucks his three children into bed every night, and helps them recite the Shema prayer, he recalls where he first memorized the prayer: on the bus at the school’s Gan Israel day camp. It’s no accident, leading Chabad educators say, that Swagel spoke of emotions rather than lessons or field trips or teaching methodology as having left the greatest impression on him. Sometimes that relationship involves the entire family. As a third grader, Dr. Ken Mukamal, now engaged in medical research at Beth Israel Deaconess Medical Center, a teaching hospital of Harvard Medical School, had Rabbi Victor Kurtzman as his teacher at Hebrew Academy of Huntington Beach. A burly Scotsman with “a larger than life” personality, Rabbi Kurtzman invited the Mukamal family for Shabbat dinners. As a memorial to Rabbi Kurtzman, Dr. Mukumal chose to name one his sons after his teacher. To attain that level of connection with a student, the most powerful tool is the teacher’s own spiritual state, according to Epstein. “It is what’s going on internally that’s crucial. You have to be plugged into life,” said Epstein after a full day of teaching first through fifth grade. A teacher’s effect lingers. Over a half-century has passed since Prof. Thomas (Shmuel) Kessner sat in Rabbi Avrohom Barnetsky’s class at United Lubavitcher Yeshivoth. Stories Rabbi Barnetsky told of his life during the Holocaust stayed with the young Kessner who grew up to be a professor of history at City University of New York’s Graduate Center. “He spoke about his memories, but you did not see bitterness and anger you’d expect from someone who had been through a tough ordeal. Dr. Kessner, who holds a Ph.D. from Columbia University, said Rabbi Barnetsky’s gift for pedagogy influences his relationships with his students. “Trying to give students credit, even when they did not deserve it seems so modern. He built on a student’s strengths well before ‘positive reinforcement’” entered the educators’ lexicon. Long after the tests are marked and the report cards filed away, teachers at Chabad Lubavitch schools change lives. In doing my research for this story, I was referred to an alumna of a Chabad school. She declined to be interviewed for the story because she “had not been in a temple for years.” When I mentioned this to her former principal, I expected him to sigh and cross her off the list of notable alumni. He didn’t. Instead he asked for her email address, saying he’d contact her and see if he could be of any help. Rabbi Yitzock Newman, accompanied by two of the Hebrew Academy’s friends and supporters, Alice Alkosser and Eric Weinbaum, who is also an alumnus from the Hebrew Academy, met with U.S. Secretary of Education Margaret Spellings on March 27 in Washington, DC. This special occasion was to offer recognition to Rabbi Newman and the Hebrew Academy of Huntington Beach for their excellence in education as a two time Blue Ribbon recipient. The Hebrew Academy is situated on an 11 acre campus in Huntington Beach and serves pore-school through grade twelve students. They also have a girl’s high school dormitory for out of town students. 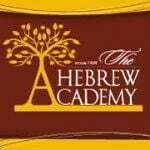 For further information about the academy please call 714 898 0051 x 284 or visit their website at www.hebrewacademyhb.com. Can career planning begin at any age? The Hebrew Academy invited parents to their classrooms for a week last month to educate students about different careers choices. Children from pre-school through elementary school took part in this program. The careers presented included a dental hygienist, a speech therapist, a real estate agent, a pharmaceutical salesperson, a Rabbi and a doctor. The dental hygienist, Debbie Drantch, showed the children in her daughter Hannah’s pre-school class, how to brush properly and brought tooth brushes and tooth paste for all her classmates! Dr. Joseph Nassir, an internal medicine physician, visited his daughter Sabrina’s first grade class, and both his son’s pre-school classes, David and Daniel, and explained to the students about the anatomy of the body and how a doctor helps take care of a person’s health. He brought in props and had a hand on demonstration for the classes. The teachers, students and the parents who participated had a great time a learned a lot. Recent Hebrew Academy graduates are attending UCI and other top universities in the fall. The school believes that exposing students to a career week event helps plant seeds for a successful path even beginning a the pre-school level. Now ask them what they want to be when they grow up? Want to learn more about the Hebrew Academy or Camp Silver Gan Israel call 714 898-0051. The Hebrew Academy is so proud to announce that Cheryl Johnson, a fourth grade teacher at the school, which serves the Long Beach and Orange County communities, has been chosen as the Teacher of the Year for the 2006-07 academic year. Mrs. Johnson teaches fourth grade general studies at the academy. Previously she worked as a child psychologist and as a trainer in corporate America. These two career paths have brought a wealth of experience to her teaching career and benefit her students. She was always very interested in working with children in education and obtaining her teaching credential was the logical next step for her. Her favorite subjects are math and science and her favorite part of teaching is seeing her students grow and progress. One of Mrs. Johnson’s accomplishments at the school is in teaching math. Based on the standardized math testing results and the new math program adopted at the academy, it is no surprise that virtually all of Mrs. Johnson’s students score above the 80th percentile on the math exam with many in the 90th percentile and above. Mrs. Johnson, who is originally from the mid-west, is known as an energetic and enthusiastic teacher by her students and her peers say she is very organized. She would call herself persistent. She says she will never give up on a student and will persist until she finds a way to help the child learn. The students, the parents and the Hebrew Academy are all very fortunate to have Cheryl Johnson as a teacher and mentor at the Hebrew Academy. Her enthusiasm is contagious and makes working and learning with her lots of fun. Mrs. Johnson is most deserving of this prestigious award and the Hebrew Academy is proud to have to her as part of their talented teaching staff. Chanie Perelmuter has been selected as the recipient of the 2007 Outstanding ECE Program Director Award from the Orange County Association for the Education of Young Children. Chanie, originally form New York, has been the Director of the Hebrew Academy Pre-School, serving the Long Beach and Orange county communities, for the past 8 years. She started as a teacher in the school in 1988. She has been responsible for the rapid growth in the pre-school and for the comprehensive curriculum. She also serves as an educator and mentor to many of the parents in the pre-school. Chanie was given a plaque in her honor at a special luncheon in May. OCAEYC is the local affiliate of the California Association for the Education of Young Children and the National Association for the Education of Young Children (NAEYC).This is the largest organization for early childhood professionals in Orange County, with almost 2000 members. The Hebrew Academy Pre-School is located in Huntington Beach on a beautiful 11 acre campus with swimming facilities and state of the art classroom and playground amenities for the children. Children from Long Beach to San Clemente attend the pre-school and the upper school as well. For more information please see our website at www.hebrewacdemyhb.com or call 714-898-0051 x204. New and Exciting Additions to Camp Silver Gan Izzy: Rock Climbing, Science Fun and More Kids than Ever!! Camp Silver Gan Israel, serving the Long Beach and Orange County communities, is offering the most amazing summer camp program this year for Jewish children from ages 2 through elementary school. “Looks like a record breaking year for camp enrollment”, says Rabbi Sender Engel, Camp Silver Gan Israel Director. A new rock climbing wall, science fun, swimming in the Jr. Olympic pool on campus and twice weekly trips for various age groups, all summer long, including laser tag, Barnum and Bailey Circus, the mud park, Discovery Science Center, Santa Ana Zoo, skating, bouncing, Knott’s Berry Farm and the Long Beach Aquarium. How can you beat that? If you are looking for a safe, fun, entertaining and educational experience for your children his summer Camp Silver Gan Izzy is all that and more. Camp Silver Gan Izzy, located in Huntington Beach and offering bus transportation through out the Long Beach and Orange County area, officially starts June 25, 2007 and promises to be the most fun ever! Visit our website at www.campsgi.comor call 714-898 -0051 today to register or for more information. Hebrew AcademyGraduate Rebecca Freed Soars to New Heights! Here is a great success story of a student with some challenges who conquers them all and if off to a great start in life. Rebecca came to the Hebrew Academy in the second grade with not much Hebrew background and a learning disability (dyslexia). Rebecca’s parents, the school administration and teachers worked diligently with her to determine the best pathway for her to succeed. She had extra help, tutoring and also took advantage of white bus program which helps students who have specials needs here on the campus of the Hebrew Academy. After reaching high school, Rebecca was able to grow and succeed on her own. The small teacher student ratio and the class environment were key factors according to Rebecca, in her successful outcome. She felt that the school allowed more freedom of expression and that the students and teachers could work closely together, especially when some students had problems. She saw the teachers encouraging the students to think for themselves, and only offering guidance down the right path. “This has contributed to me becoming a free-thinking individual that has instilled confidence that will help me succeed in college and for many years after,” says Rebecca. Rebecca was part of the yearbook staff her senior year and showed a tremendous amount of creativity and skill inputting together the book. She is enjoying her summer and is working as a camp counselor this summer for Camp Silver Gan Israel in Hunting ton Beach. Rebecca has decided to major in journalism and will be attending University of Massachusetts in the fall. We all wish her the absolute best of luck! Hatzlachah Rabah!! She worked so hard and truly deserves it. The Hebrew Academy Preschool, serving the Long Beach and Orange County areas, is proud to announce that Kara Boaté, a certified teacher from West Chester, PA, has joined their teaching staff. While growing up Kara always wanted to be a teacher. After high school she was awarded a college scholarship in spring board diving to attend Drexel University in Philadelphia. She then finished her Bachelor’s degree in early childhood education and her teaching certification at West Chester University of Pennsylvania. Kara move to California almost a year ago and is so happy to be teaching at the Hebrew Academy preschool. “I love the atmosphere and all the children, parents and students are so great. I am so very happy to be here in this wonderful, nurturing environment.” says Kara. Parents describe Kara as outgoing, determined and caring. Her students describe her as fun, silly and caring. In her free time, Kara enjoys diving, biking and music. She is a very welcome addition to the staff and family of the Hebrew Academy Preschool. The school is preparing for their NAEYC accreditation and Kara will be a great help to us. If you would like more information about the preschool please call 714-898-0051 x204. The audiences, mostly comprised of children and their teachers, are mesmerized by the information and absorb so much by actually seeing and participating hands on in the tradition. Making a shofar, pressing the olives for oil or actually baking the matzah has such a depth of experience for the children and adds a terrific dimension to their Jewish education and learning experience. They are truly awed. We hope your children are fortunate enough to partake in one of the workshops or factories this year and that they are luck enough to have Rabbi Sender share his infectious love of Jewish learning. For more information about these programs you can call 714-898-0051 or 562-596-1681. The Hebrew Academy will be celebrating Sukkoth this year with their Annual Grand Sukkah Hop Celebration. The event will include a live Jewish Rock Band, an amazing carnival, fun moon bouncers for the kids, a delicious dinner for the entire family and a whole lot more. Everyone is invited to attend on Monday October 1st from 5:00PM to 7:00PM. Everything is included for one fee: Children under 10 are $9 and Adults are $10. There is a $40 maximum charge per a family. Please call to RSVP or for more information to (714) 898-0051. The Hebrew Academy is located at 14401 Willow Lane in Huntington Beach. We sure hope to see you all there!